DISCOVER OFF PISTE - A WHOLE NEW DIMENSION TO SKIING. 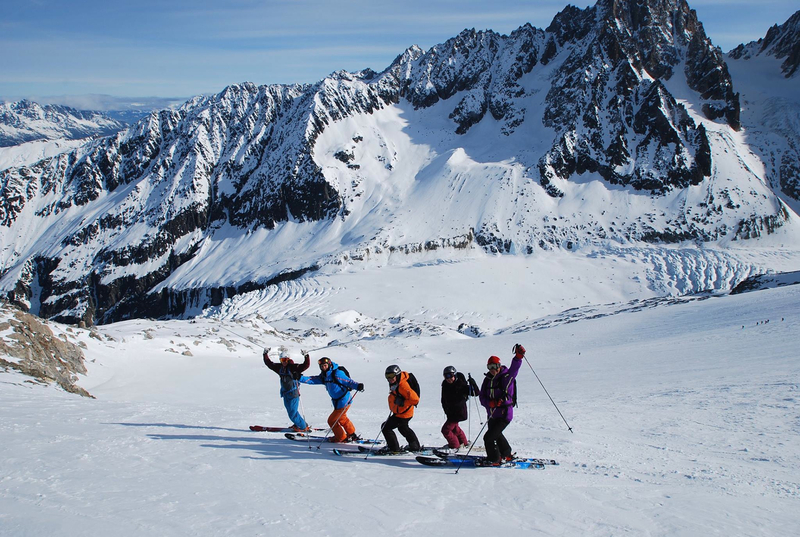 Off piste ski courses for intermediate skiers in Chamonix, France. An introduction to off piste skiing course for intermediate level skiers. All ski courses are delivered by top, international ski instructor, Mark Gear. Looking to learn to ski off piste, away from the crowds? This ski course is designed to suit intermediate level skiers who are looking to learn off piste skiing. Before attending this course, you should be a confident intermediate level skier on the groomed runs, skiing with parallel turns on red runs and easy black runs. The first part of the ski course will focus on piste skiing, improving your technique on the groomed runs to lay foundations that will set the scene for an introduction to off piste skiing. During this course, your skiing will develop in a versatile and natural way that will enable you to start skiing off-piste. 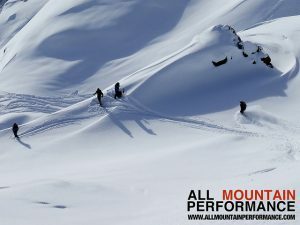 With some nice snow conditions and a few key tips, it’s amazing how easy off piste skiing can be. Understand and develop the most up-to-date skiing techniques and modern freeskiing tactics. You will receive a personalised ski coaching approach with helpful, video feedback in a small group of 6 skiers maximum. The 2 day weekend ski courses are condensed versions of our 5 day courses. The aim of the weekend is to cover the major parts of the 5 day skiing course using a maximum activity approach. That means lots of great skiing with tips and tactics for snow and terrain. 5 Day Ski Course = 760€ Per person (course fee only). Weekend Ski Course = 350€ Per person (course fee only). Get a 10% discount for a booking made before August 1st! Travel and Accommodation – This is not included in the course fee and is arranged by the clients. It’s best to book somewhere in the town of Chamonix to benefit from our private minibus transport to and from the different ski areas each day. Our recommendations page shows some great options. Equipment needed – Off Piste/All-Mountain skis (If the snow is deep off-piste, 95-110mm underfoot / if the snow is compacted, 85-100mm underfoot). Alpine ski equipment is recommended but can be touring. Transceiver, shovel and probe in a suitable backpack with chest and waist straps. A helmet is recommended. There are a number of rental shops in resort with this equipment if you don’t have your own. Insurance – Winter sports travel with off piste rescue insurance for being guided/instructed by an appropriately qualified instructor/guide on all terrain. Additional insurance can be purchased with your lift pass at the ticket office). Lift Pass – The Mont Blanc Unlimited Ski Pass is needed for this ski course. This pass covers every lift in Chamonix and some other close by resorts in France and in Italy too. This gives us total flexibiliy to respond to changes in weather and follow the best snow conditions available in the whole Mt blanc area.